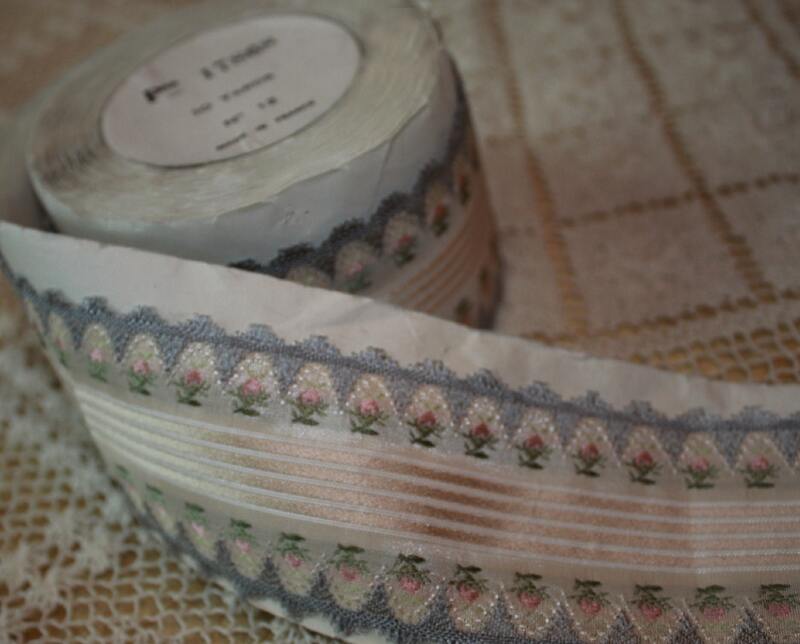 This imported french ribbon is perfect for a sash and bow for an heirloom dress for a little girl, for a headband, or an accent to a handcrafted handbag. It measures 2 1/2" in width, 100% Rayon and is made in France. It will make a perfect addition to Grey, Pink, Ecru or Ivory fabric. It is sold by the 1/2 yard.